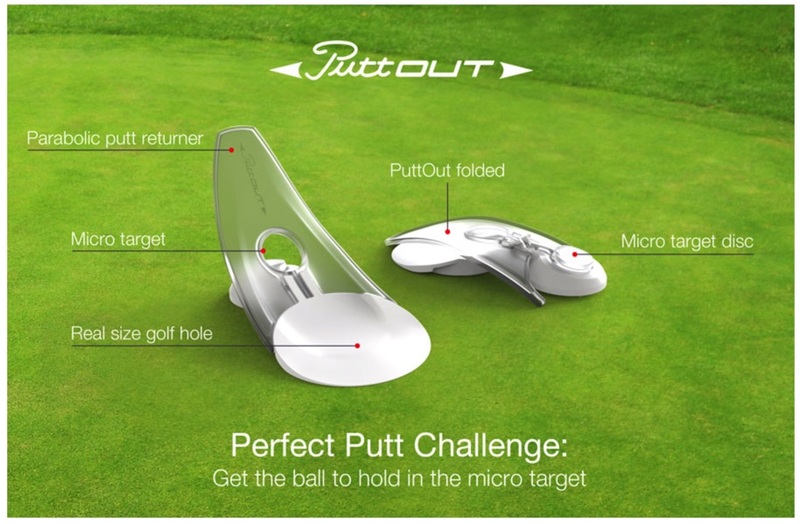 PuttOut is a revolutionary new pressure putt training device that has a scientifically shaped target that is designed to return good putts and reject bad ones. The Key to great putting is practice. 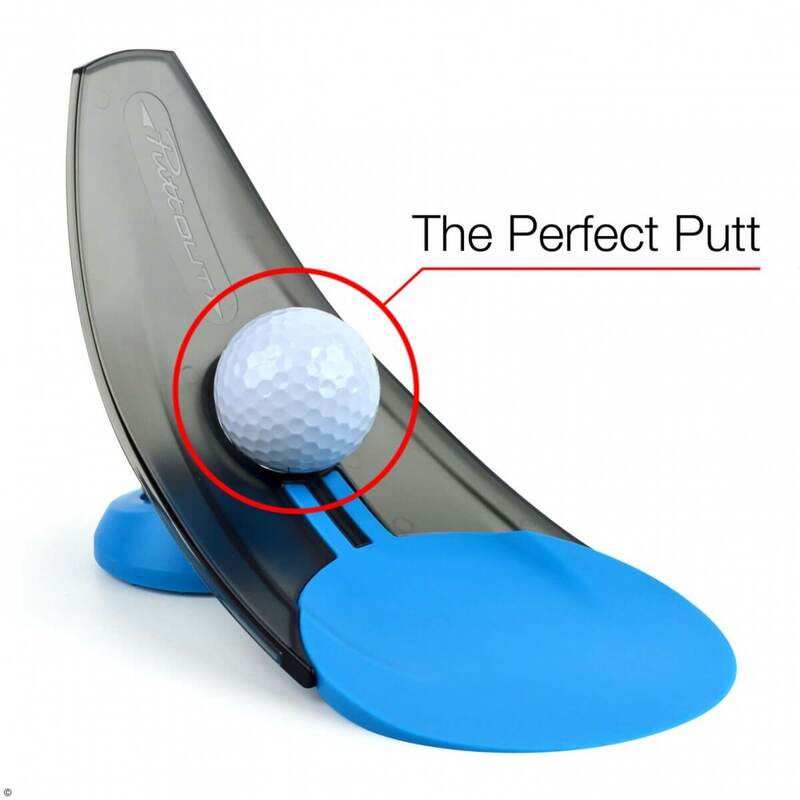 PuttOut has a parabolic ramp that returns a successful putt the same distance it would have gone past the hole if it had missed giving great feedback. Build repetition into your practice to improve your pace putting and get used to holing pressure putts. 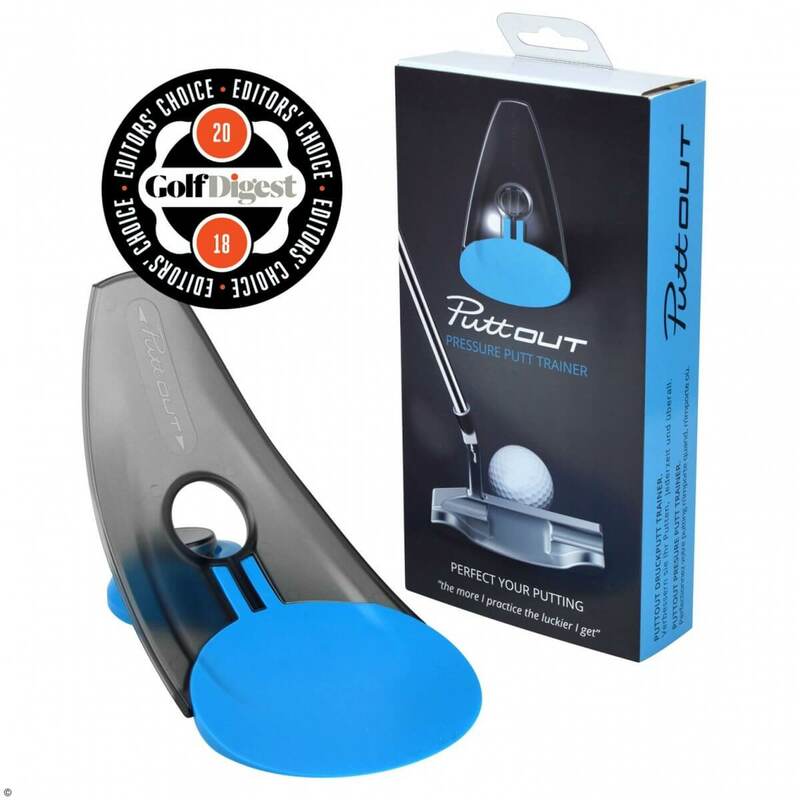 Made from high quality, elastomer and translucent polycarbonate, PuttOut folds and fits into your golf bag. 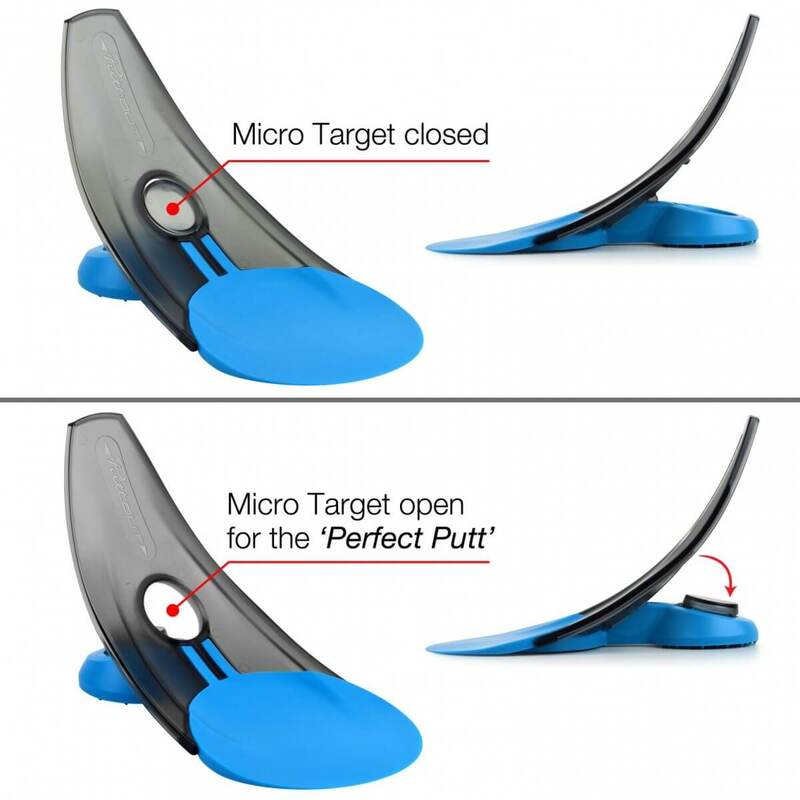 Click the disc to open the micro target and get the ball to hold in the micro target. You’ll need perfect pace and aim! 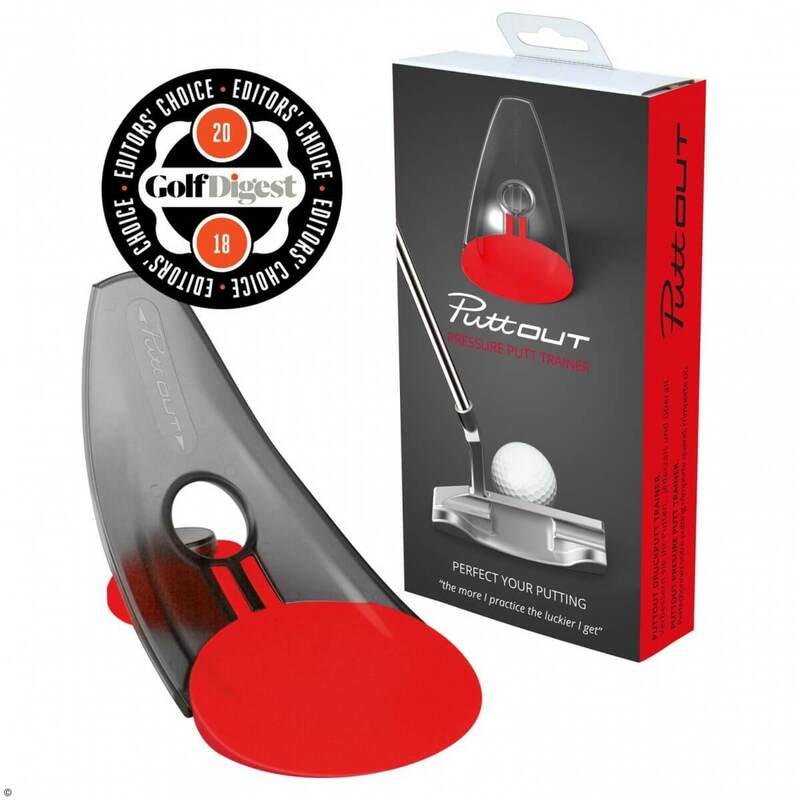 Watch the video of Mark Crossfield PGA professional AskGolfGuru reviewing and testing the PuttOUT Golf Putting Aid. 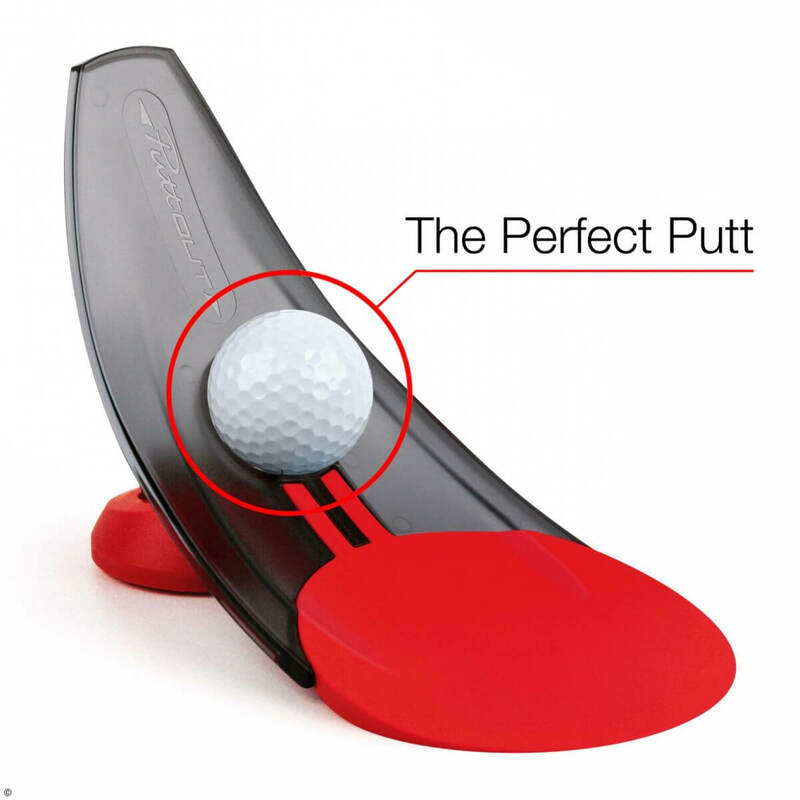 Mark talks about this new putting aid that has helped him practice his putting in his busy schedule at home and on the move. 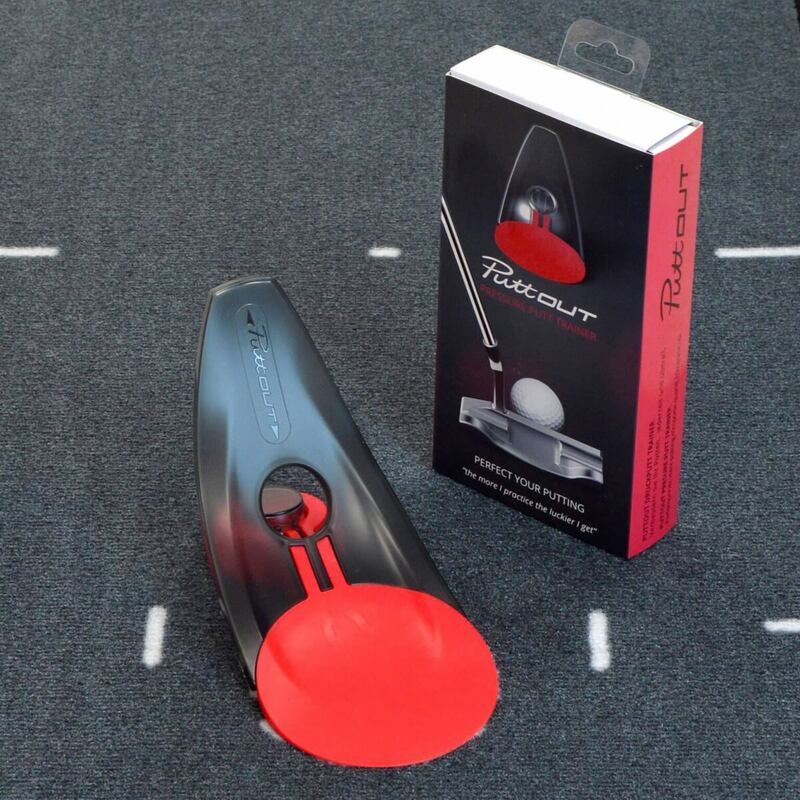 The simple yet effective design simulates putting while at the same time returning the ball for another go.